New. 1st Edition pbk 1st Edition 1 3 5 7 9 10 8 6 4 2 New large format Paper Back. Some light tanning to pages edges. Trade paperback (UK). 416 p.
This book covers alot of stuff that is going on today. People are trying to keep the CIA from using force to find out what is going on and the Terroist are blowing up buildings visited by the House and Senate Members. Great read. 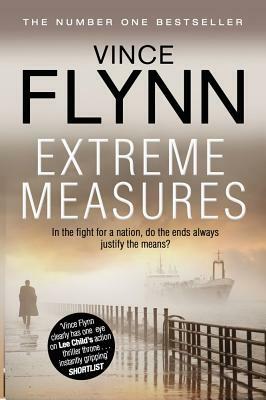 Once again, Vince Flynn lives up to extraordianry realism and excitement in Extreme Measures. I have read everything he writes and I consider this one of his best. If you want something you can't put down, this is it. Fascinating, plausible, a pleasure to read.